CBS Sports issued its 2015-16 Best in College Sports rankings and ranked Utah No. 10 in the nation. Oklahoma was rated No. 1 with 603.5 points, followed by North Carolina (530), Notre Dame (505.25), Stanford (475.5), Ohio State (469), Alabama (438), Syracuse (422), Iowa (406.25), Florida State (403.75) and Utah (388.5). Utah’s No. 10 ranking is even more impressive when budgets are taken into account. Utah’s $70 million budget makes it the only school in the CBS Top 10 with a budget under $100 million. Team Podium 2016 NCAA Skiing. which put an emphasis on sports that generate the broadest base of fan and media interest. Football was worth 2.5 times as much as the other sports, while men’s basketball was worth twice as many points. The Utes earned 146.25 points from football, 100 for men’s basketball and 10 from women’s basketball. Utah’s “wild card” sports of women’s gymnastics and baseball combined for 132.25 points. The Ute football team was ranked No. 16 in the final AP poll with a 10-3 record and Las Vegas Bowl win. Men’s basketball made the second round of the NCAA Tournament and was the Pac-12 runner-up with women’s basketball advancing to the third round of the WNIT. Women’s gymnastics placed ninth at NCAAs and baseball earned an automatic NCAA Regional bid by winning the Pac-12 championship — the school’s first in a men’s sport since joining the “Conference of Champions” in 2012. Several other Ute sports had outstanding seasons but did not figure into CBS Sports’ ratings equation. 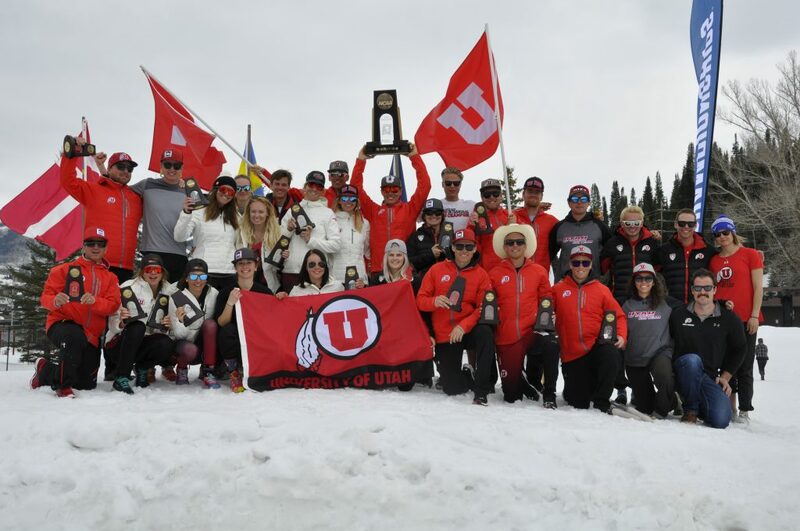 Skiing placed third at NCAAs, softball advanced to its first-ever NCAA Super Regional for a top-16 finish, and women’s cross country qualified for the NCAA Championships as a team for the first time.